How did this happen? As we explained, with all of its domestic markets fully saturated, China has had no choice but to export its soaring commodity production. 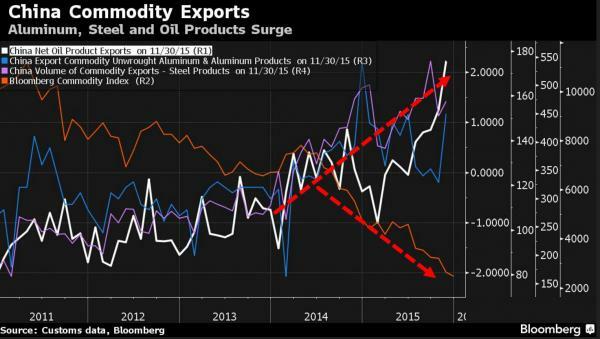 Shipments of steel, oil products and aluminum are reaching for new highs, according to trade data from the General Administration of Customs. That’s because mills, smelters and refiners are producing more than they need amid slowing domestic demand, and shipping the excess overseas. amid slowing domestic demand, and shipping the excess overseas. 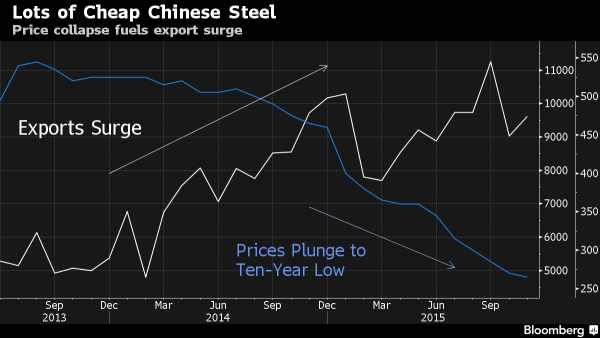 This means that suddenly China's steel exporters will have to scramble to find a comparably large market in which to sell their wares as now exporting to the US will result in massive losses to domestic producers. According to Bloomberg ,calls to the spokesman’s office at China’s Ministry of Commerce in Beijing weren’t answered. An official who answered a call to the China Iron & Steel Association couldn’t immediately comment. 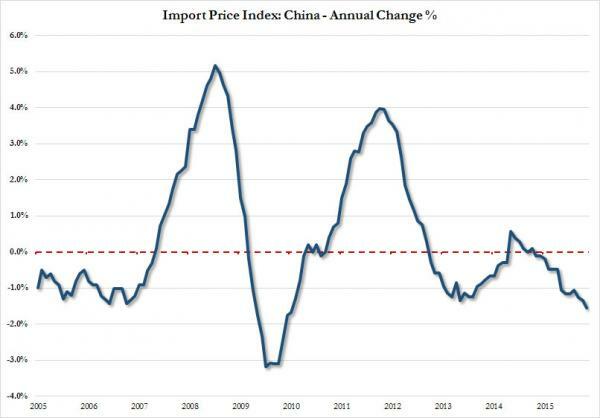 The problem for China, however, is that as we have explained previously, unless local commodity producers can keep generating some cash flow, even if it is negligible, China will be swept in a default wave that will sweep away all the overlevered producers of steel and other commodities, leading to social unrest or worse. Which means that now that the US has fired the first trade war shot, it will be up to China to retaliate. It will do so either by further devaluing its currency or by reciprocating with its own protectionist measures against the US, or perhaps by accelerating the selling of US Treasurys. To be sure, it has several choices, clearly none of which are optimal from a game theory perspective, but now that the US has openly "defected" from the "prisoner's dilemma" game, all bets are off.